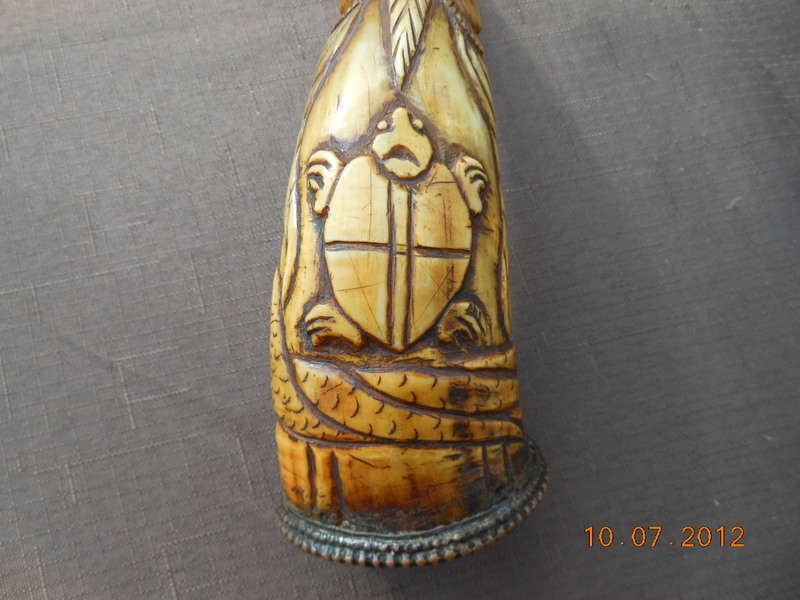 This horn is intricately carved in a raised, sculpted manner, showing a turtle, a serpent wrapping around the base, and what appears to be a building or temple of some sort. 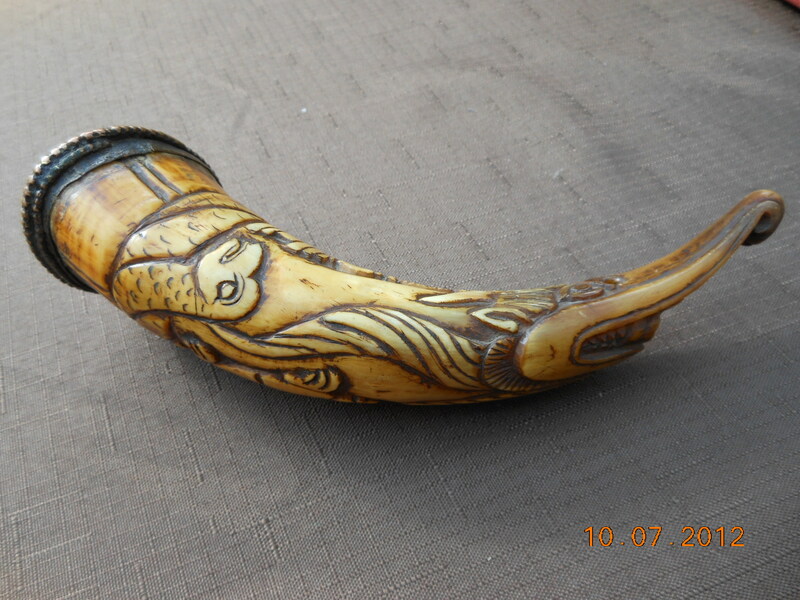 The pouring spout of the horn reveals a long nosed beast or dragon with horns and many teeth. 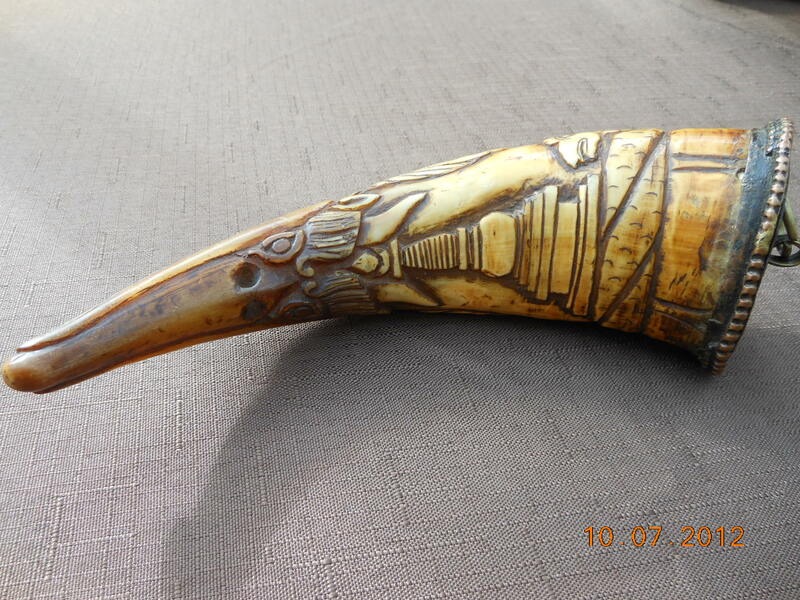 There is a beautiful dark amber patina to the horn and honey color on the raised portions. 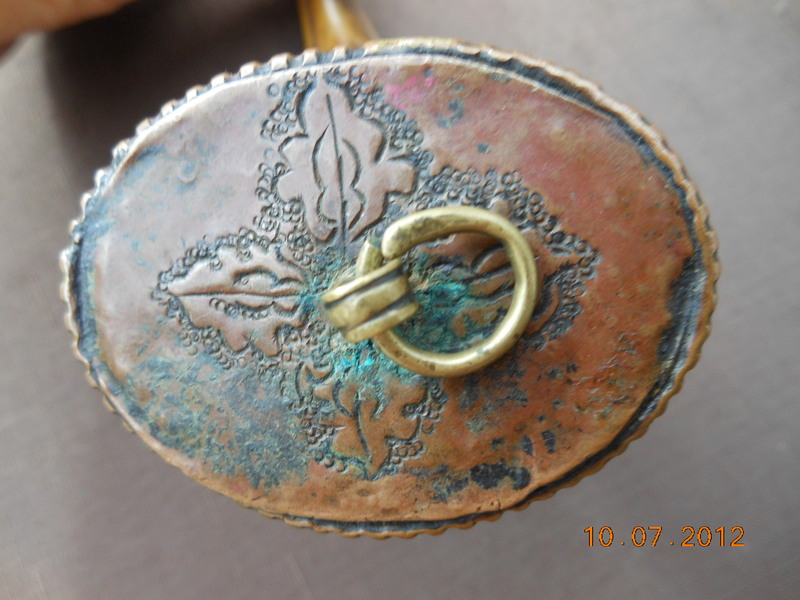 The wood pegged base has a copper cover fitted over it with carved leaves in the center. 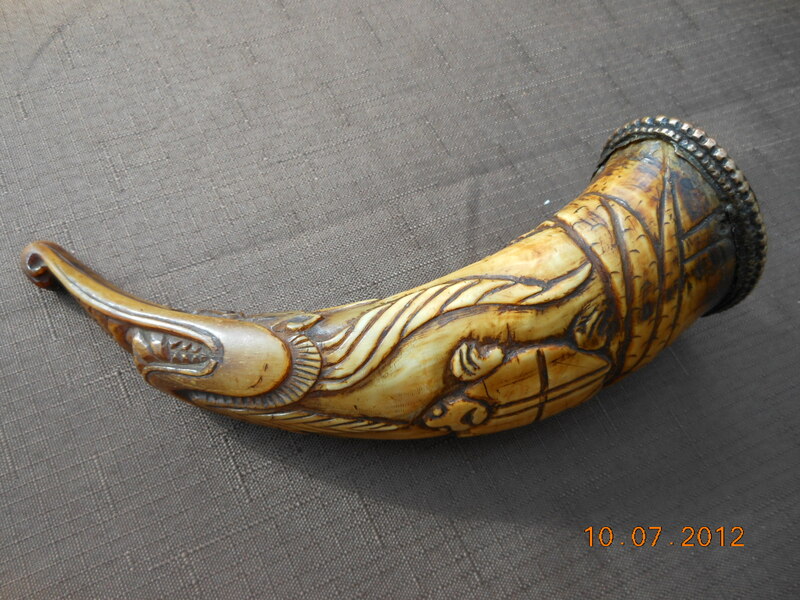 More research has to be done to determine the attribution for this horn. 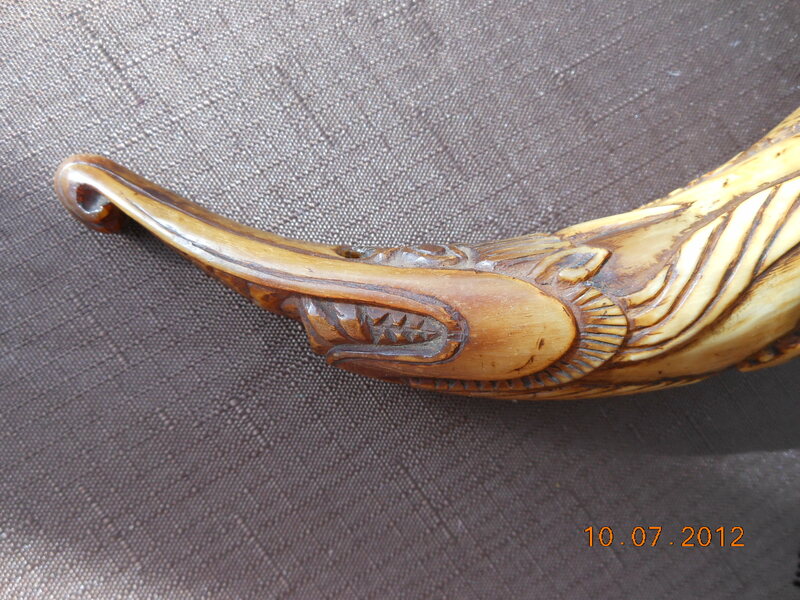 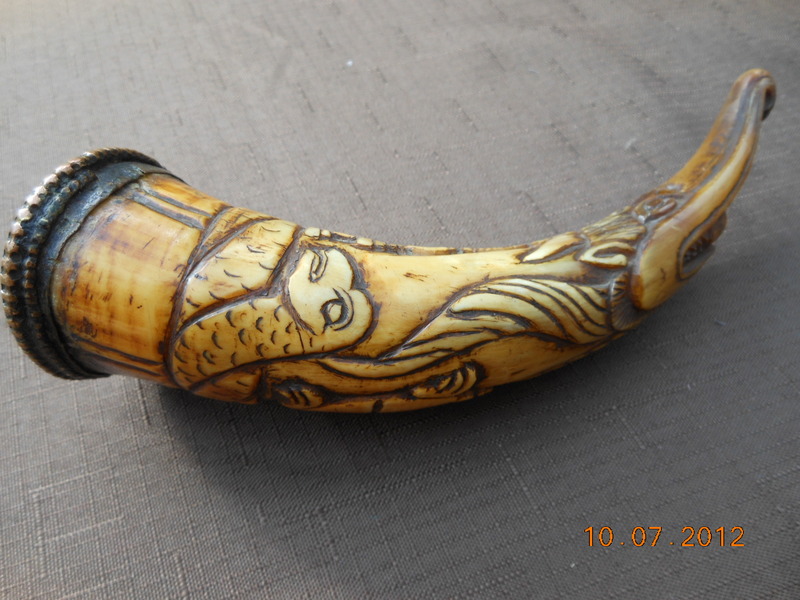 It is difficult to point to a specific culture or area as to where this horn was made or by whom.